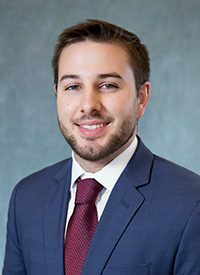 John Tolson joined the Commercial Brokerage Division of Stirling Properties in April of 2015 as a Sales and Leasing Executive in Lafayette, Louisiana. He has experience in all markets throughout the state of Louisiana, primarily focusing on Lafayette, Baton Rouge, Lake Charles, Alexandria, Houma, Slidell, and Covington, as well as smaller municipalities in the surrounding region. Mr. Tolson’s main concentration is in the retail sector, including both landlord and tenant representation. He currently represents several national retailers and has an extensive portfolio of listings that include single and multitenant retail properties, as well as new development projects throughout Louisiana. John holds a Bachelor of Arts in Economics as well as a minor in Business and Communications from the University of Arkansas where he was a member of the baseball team. He was also an active member of Phi Theta Kappa, the Leaders on Campus Program, FCA, and involved in philanthropy work through Salvation Army and Samaritans Purse. During his college tenure, Mr. Tolson received the H.M. Ivy Scholarship, Circle of Excellence award, and Who's Who Among Students in American Universities. He was an Academic All-American and earned First Team All-Conference, and First Team All-Region honors in baseball. Mr. Tolson is currently a member of the Realtors Commercial Alliance (RCA) and the Retail Brokers Network (RBN).